Do you use transparent PNGs in Flash, Flex or AIR? Want to cut your application file size in half? Embedding transparent PNGs dramatically increases the size of your Flash, Flex and AIR applications. Photoshop and Fireworks dot not have any compression available for transparent PNGs (that I am aware of). 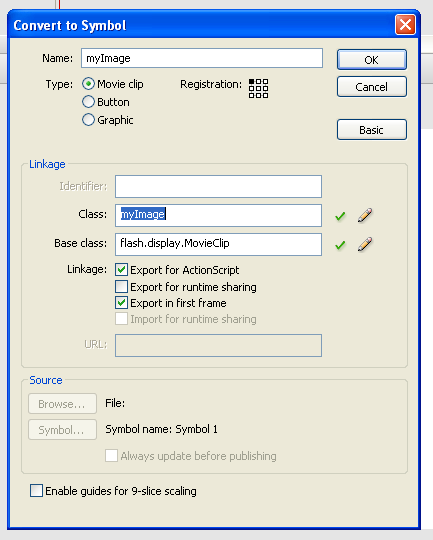 Import your PNGs into Flash, give them a linkage id, and export the file as a SWF. Make sure to set your compression level in the publish settings (default is 80%). Using this method, I was able to cut the file size in half for a number of applications. It is also much easier to manage your external assets from a SWF. 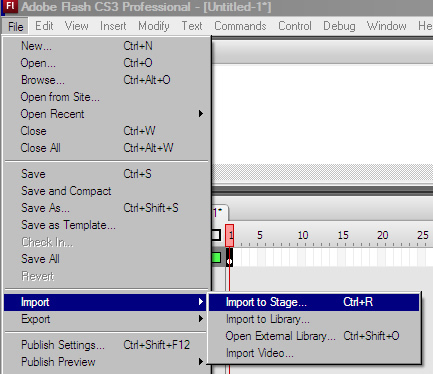 Designers can set up a nice slice sheet using the stage in Flash. Much easier than managing tons of small PNGs in folders everywhere. In addition to using the SWF it can also be very useful to set up an ImageManager to serve out images to your application. 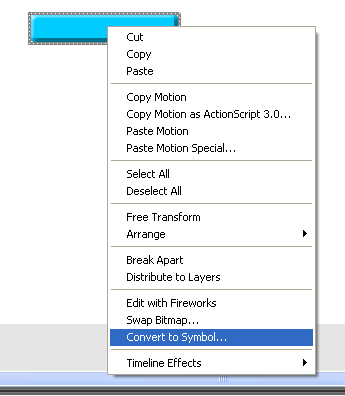 This prevents having to change code in multiple places to update the same image reference. Disclaimer: It may be obvious but you must be using transparent PNGs in your app to see a decrease in file size 😉 Most of the apps I work on have lots of transparent PNGs! After that you can use reflection to retrieve it from that string. That way you can skip writing a big case switch for all your assets. Awesome. I’ll have to give that a try on my next project. Much easier than setting up a bunch of case statements. Thanks latho!